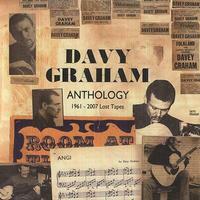 British guitar virtuoso Davy Graham inspired a multitude of artists such as Paul Simon, Jimmy Page and Jimi Hendrix. Combining jazz, blues, folk, soul, rock, Indian and Arabic music, Graham proved to be one of the 20th century's most versatile guitarists and songwriters. His ability to transcend genre can easily be heard on this 28-song compilation. Music On Vinyl's Anthology (Lost Tapes 1961 - 2007) is the only double LP issue of the praised compilation CD by the same name, first released in April 2012. With a bonus: Four tracks are exclusive to the vinyl issue! The artwork features clippings of Davy Graham's personal portfolio. Quality material for lovers of abovementioned genres.